New 8,500 square foot one story office building containing clerical, train operations and maintenance programs. Site development including parking and landscaped areas. 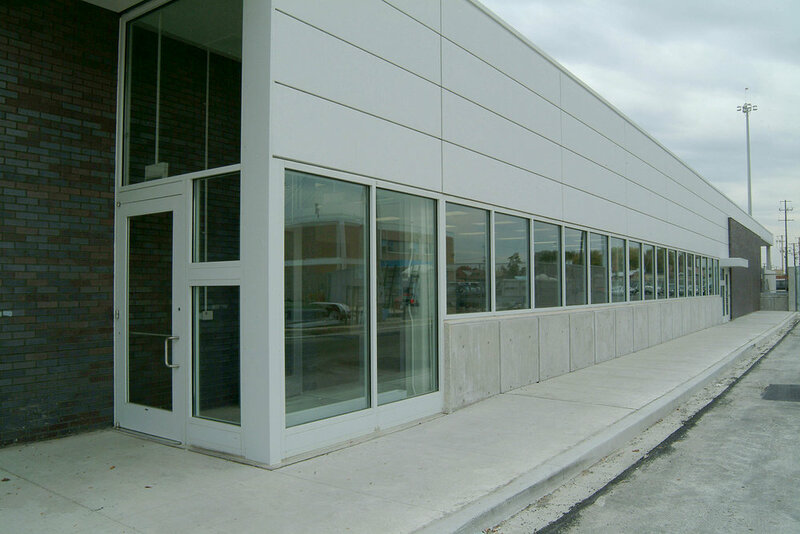 Building exterior materials- architectural concrete, masonry, metal panels and glass are related to massing and program. 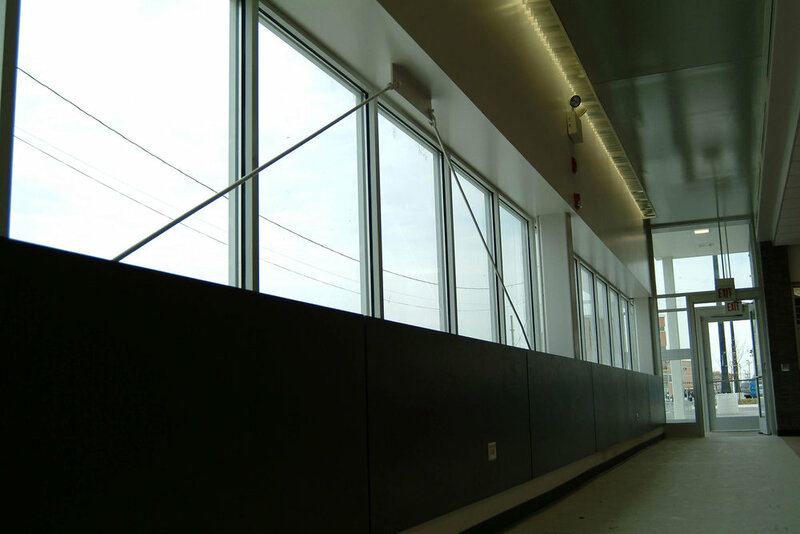 Visitor, employee, loading and rail entries are identified with brick walls and roof overhangs.